Thinking of Becoming a Krav Maga Instructor? Are you passionate about teaching, training, and learning? Are you looking for a battle-tested system that can be taught to any student? Do you want to harness a powerful teaching methodology that helps your students grow? Are you looking for an organization that actively provides opportunities for the growth and improvement of its instructors? Do you want to be a part of the original lineage of Krav Maga, and learn the system straight from the source? Then start your journey with Krav Maga Global. KMG creates passionate, skillful, and knowledgeable Instructors who have a deep understanding of the system and a heart for teaching students and serving their communities. As an organization, KMG ensures that support and opportunities for growth are made available to its instructors, so that they can constantly improve their schools and grow their student base. To learn more about KMG and Eyal Yanilov please click here. 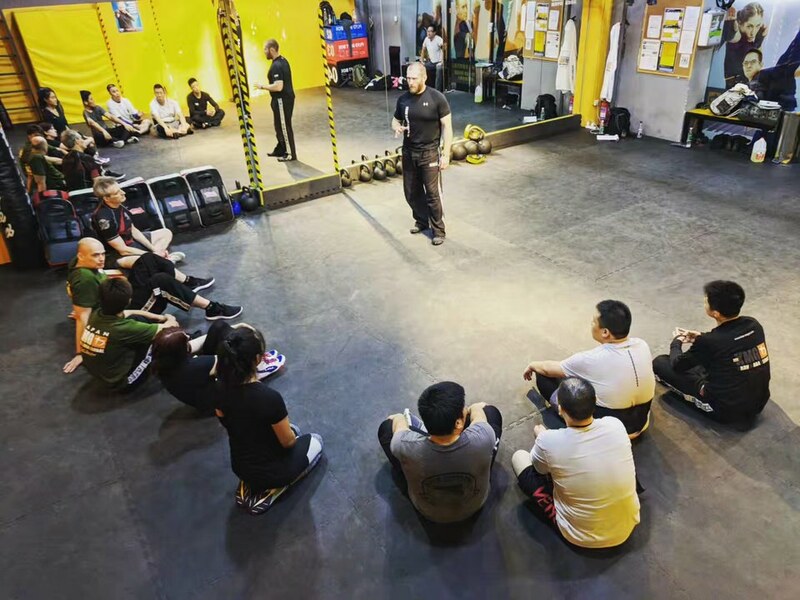 What is Krav Maga Global's General Instructor Course (GIC)? KMG’s Krav Maga General Instructor Course (GIC) is renowned for being the most comprehensive program for civilian Krav Maga Instructors. This Instructor Course produces top-shelf instructors who can effectively train different types of people, regardless of size, age, or starting fitness ability, to be able to use the system for their personal protection and well-being. The course operates worldwide and is delivered by our highly experienced Global Instructor Team (GIT). The main certification course lasts a total of 180 hours (about 24 days), and is divided into two or three phases. It is designed to develop physical Krav Maga skills as well as the ability to teach others through a comprehensive coaching program. The course concludes with technical, teaching, and physical conditioning exams. Successful completion of the course is dependent on meeting specific criteria at the end of each phase, as well as passing the final test of physical skills and teaching abilities. 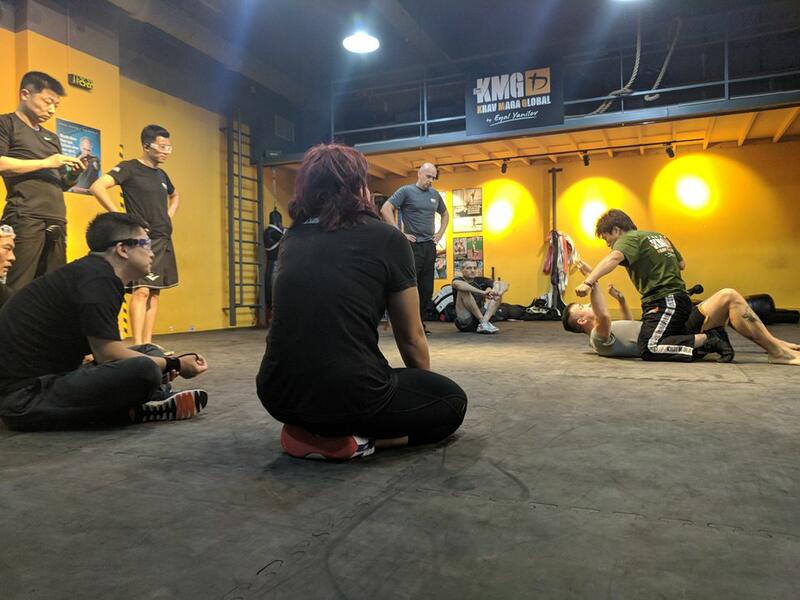 The successful candidate will receive a Graduate Grade in Krav Maga and a General Instructor Certification under Krav Maga Global (KMG), authorized by KMG Chief Instructor, Eyal Yanilov. In addition to the GIC, the Pre-GIC training program will be provided for all qualified applicants. 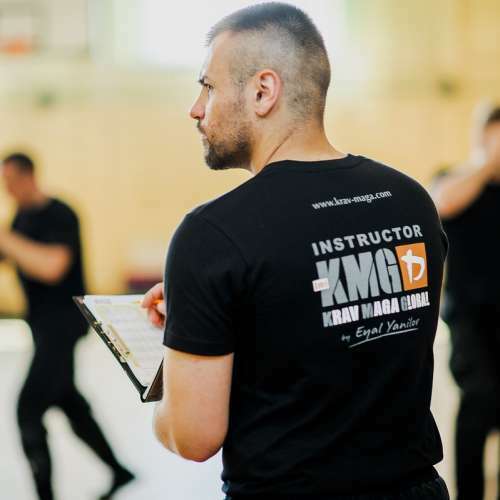 The Pre-GIC is designed to solidify both foundational learning in Krav Maga, as well as hone teaching ability, which is critical to becoming a KMG Instructor. The Pre-GIC program will be a combination of in-person training, feedback, and access to training materials, and starts about 6 months before the GIC. In-person training will be provided in selected cities in mainland China. What is covered in the Pre-GIC and GIC? Final locations and dates for in-person training TBA. * Krav Maga Instructors from other organizations who qualify for Conversion Course may have different training requirements and fees, depending on assessment. Kindly submit your Application first so our team can make the proper assessment. What happens after passing the GIC? 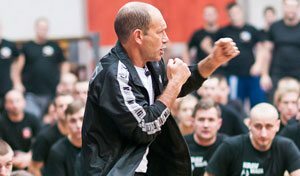 KMG is an elite Krav Maga training provider, focusing on developing and nurturing passionate Krav Maga instructors. Beyond testing and certification, we provide real support for our Instructors in terms of teaching, training, and skills development, as well as marketing and school development. Junior Instructor Year. Passing KMG's General Instructor Course (GIC) is not the end, but the beginning of your journey as a Krav Maga educator. In the first year after passing the GIC, newly-graduated Instructors are considered Junior Instructors under KMG. For most, this will be time spent starting up KMG programs in their own schools. 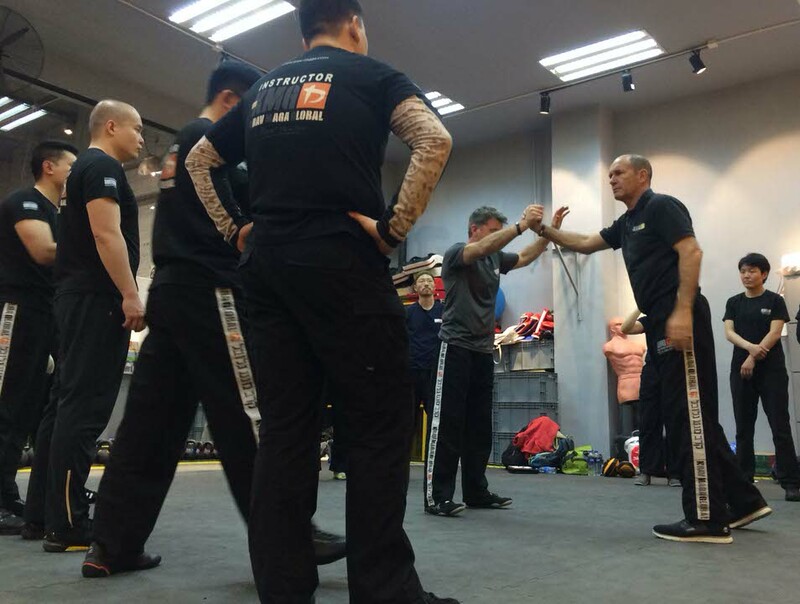 During this period, KMG's China headquarters will be checking in on Instructors, including observing their classes and giving feedback as necessary. KMG's China team will work with newly-graduated instructors on improving their classes, problem-solving both technique and teaching issues, and working on school development. Instructor Updates. All of KMG's Instructors are required to attend instructor updates annually. This ensures that all KMG instructors maintain the same quality of teaching and techniques, and also provides growth and new ideas that will keep their classes fresh and interesting. Seminars and Events. KMG Instructors will have access to seminars and events organized by KMG's China headquarters. Grading and Ranking Opportunities. Although there is no hard requirement for Grading after the GIC, we highly encourage Instructors to train and aim for the next level in Krav Maga. Krav Maga is a lifelong journey, and we are constantly improving and learning. 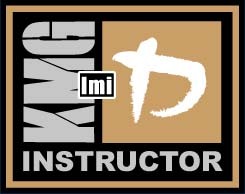 KMG will provide instructors with both training opportunities as well as local gradings conducted by KMG's International Team. School Development Training. Includes media training, first-aid training, school management, communication skills and development, etc. In running a school, these skills are important to maintaining membership and promoting a strong local community. And Much More... KMG also provides training materials for Instructors only, sample class plans, marketing and seminar support, apparel and merchandise support, and other tools for growth and development. Acceptance into the GIC and Pre-GIC is through application to KMG China and authorization from the China director. Must have at least 4 years experience in Krav Maga, with at least 2 years of teaching experience. KMG will only consider applicants from internationally-recognized organizations with similar curriculums and standards to KMG. 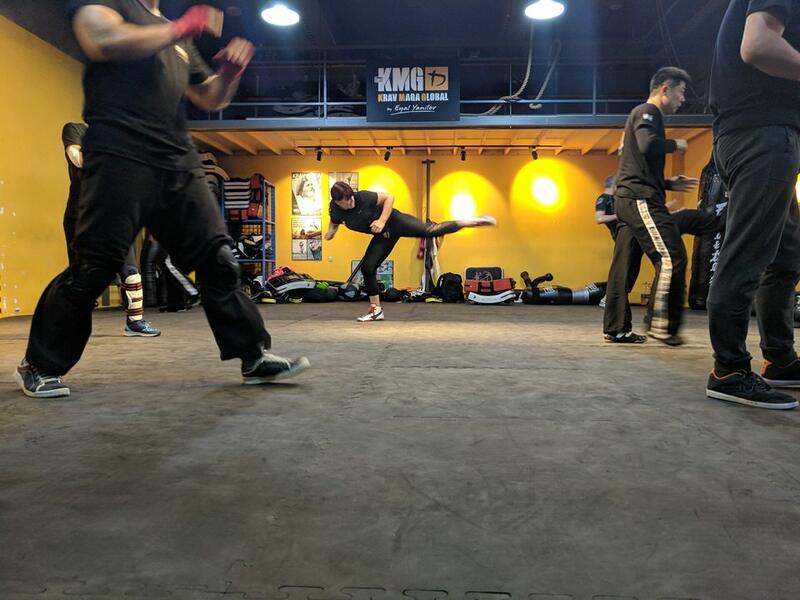 For applicants whose experience in Krav Maga is with a smaller organization or whose curriculum differs vastly from KMG's, you may try to apply under the Category 3. Display strong understanding of the principles of Krav Maga, the history of Krav Maga, and what makes it different from martial arts or combat sports. Category 3: Non-KM practitioners with significant experience in other martial arts or combat sports, or have combat training from military or law enforcement service. Minimum four years' experience in another martial art or combat sports with excellent striking skills, or at least two years' experience with combat training from military or law enforcement service. Demonstrable teaching experience, or has a recognized teaching qualification in his or her martial art or combat sport, or has served as a combat instructor in the unit he or she has served in. Bonus attributes: Display knowledge of Krav Maga, its history, its application, and what makes it different from martial arts or combat sports. Is a person of integrity, showing respect, discipline, honesty, patience, humility and honor in all he or she does. University graduate holding a bachelor's degree. I'm ready! I want to apply for the Pre-GIC and GIC. Great! We're glad to have you onboard. Click on the button below to take you to the application procedure page. You'll find detailed instructions on how to submit your application and what to do if you have any problems.